Adair Comfort Height 1-Piece 1.28 Gpf Single Flush Elongated Toilet In Biscuit An excellent value, the Adair toilet features a striking organic design inspired by the windswept rock formations of Sedona, Arizona. A slim tank and pared-down oval forms make this compact, high-efficiency toilet perfect for smaller spaces. A 1.28-gallon flush provides significant water savings of up to 16,500 gallons per year, compared to a 3.5-gallon toilet, without sacrificing performance. 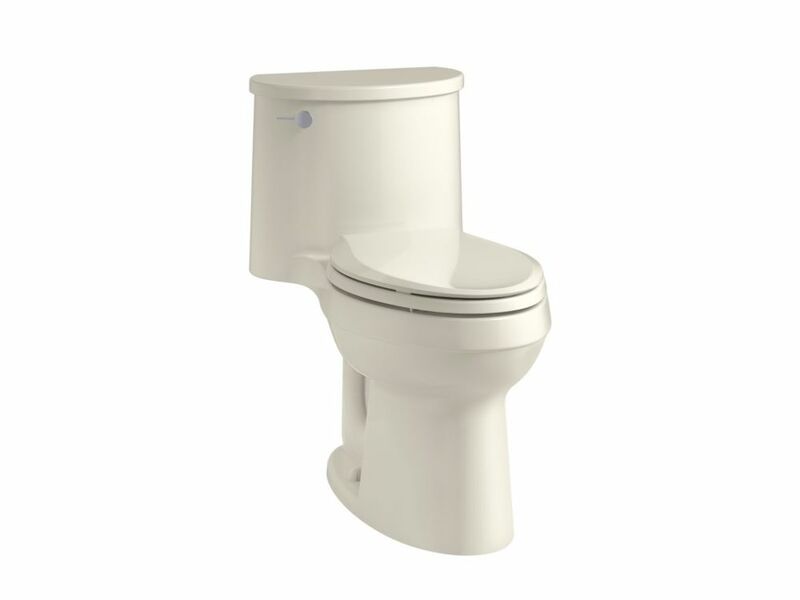 Adair Comfort Height 1-Piece 1.28 Gpf Single Flush Elongated Toilet In Biscuit is rated 3.7 out of 5 by 3. Rated 1 out of 5 by Jeffrey from The toilet was manufactured improperly.The porcelain shape if the toilet... The toilet was manufactured improperly.The porcelain shape if the toilet was not oval. One side was off kilter so the toilet seat doesn’t fit well over the bowl. It was a manufacturing flaw. Considering the price of the toilet it’s pretty amazing that the defect was present.